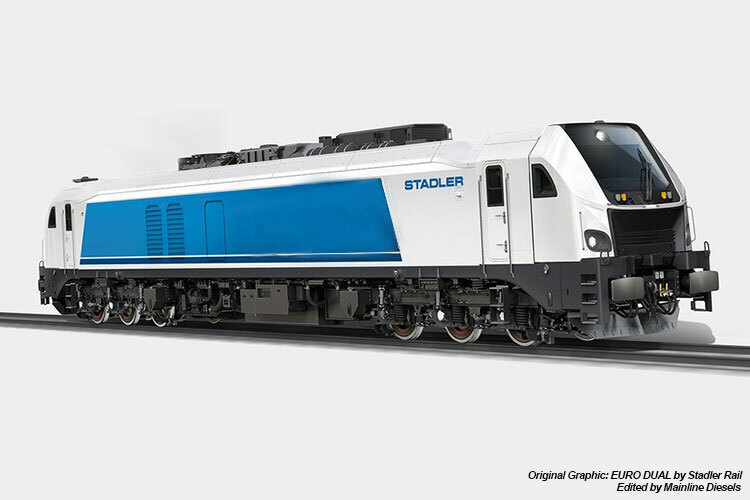 At the 2017 Transport Logistic trade fair in Munich, Stadler revealed its EURO 4001 concept. Building on the EURO DUAL bi-mode locomotive, the EURO 4000 is essentially an all-diesel version. Despite its success, the EURO 4000 will no longer be available, as its EMD 710 series engine complies with Stage IIIa emission legislation and there is no direct alternative available. The EURO 4001 features a Caterpillar C175-16 engine with a power output of up to 3,000 kW and is able to reach a maximum speed of 160 km/h.